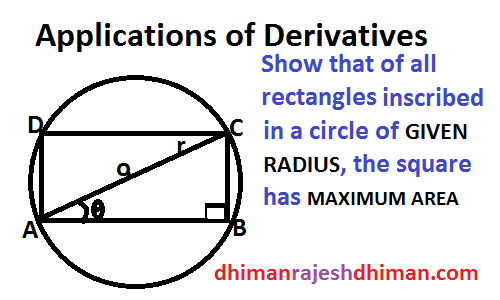 Show that of all the rectangles inscribed in a circle of given radius . The Square has maximum Area. And Let θ be the angle between side of rectangle and Diameter of given circle. Let us consider two numbers x and 16- x . So x = 8 will be the 1st required numbers if Double derivatives of A w. r. t ‘x’ comes to be positive at x = 8. 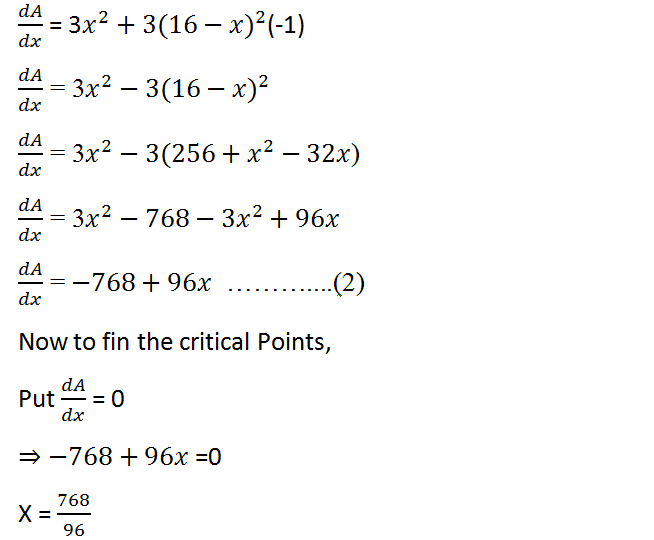 Differentiate (2) w. r. t. ‘x’ .